From IP and cloud based business phone systems, to video surveillance, network cabling and access control, Action Communication Technology has demonstrated a commitment to customer service excellence in The Woodlands, Spring, Conroe, Houston and all of Montgomery County since 1991. Our complete line of business telephone sets provide the features and functionality most commonly used in the office environment . We provide business telephone systems for small, midsize and enterprise size businesses in The Woodlands, Texas and Houston metropolitan area. Whether digital or IP (Internet Protocol), our complete line of ESI business products can cover virtually any business applications. Business communications means more than just telephones. It means managing and controlling a various operating procedures and streamlining daily business routines. From structured cabling to include category 3, 5, 6, 7 and fiber optic backbones, we have the trained cabling technicians who are certified to design, install and implement your complete cabling infrastructure. We design, install and carry a complete line of Valcom overhead paging and public announcement systems for a variety of business, office, outdoor, indoor and industrial applications.  Get in touch with us today to discuss your business communication needs. Our trained and courteous staff is standing by to assist you.